Slow down and savor a healthy hearty soup this season! 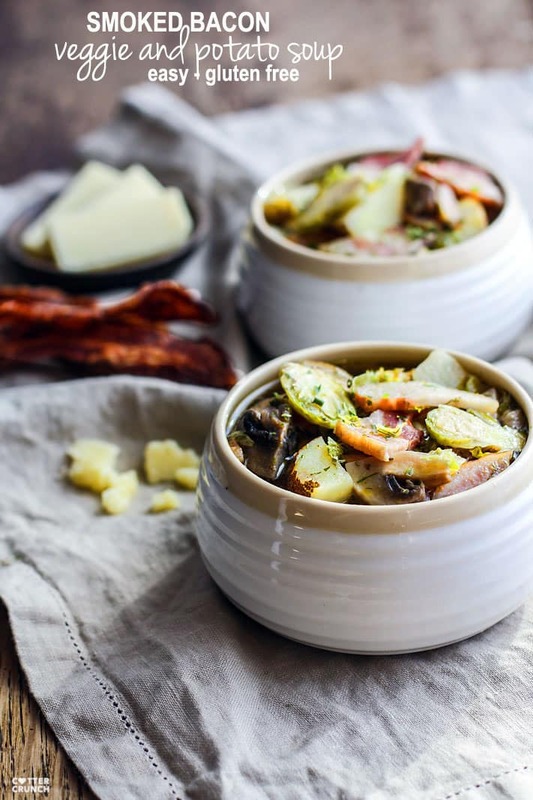 How about a veggie soup recipe with smoked bacon, Brussels sprouts, mushrooms, and potatoes? A change in weather and season brings a whole new change of produce and nutritional needs! This veggie soup is gluten free, grain free, and Paleo friendly, but still packed with nourishment and flavor! 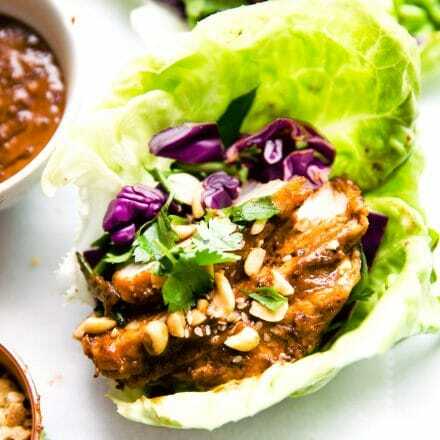 Easy to make in a slow cooker or on the stove. What does it really mean to eat with the season? I’d say, for most of us, it means to eat WHAT’S in SEASON. Yes, that is true. Eating fruits and vegetables that are in season can have it’s perks. Like this veggie soup, which I will get to in a minute. 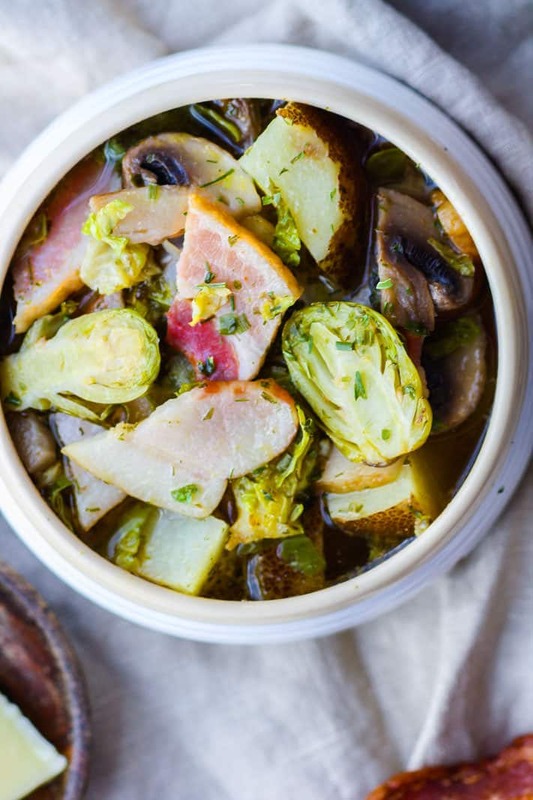 It’s made with Brussels sprouts and potatoes (plus some other goodies). These vegetables are in season, maybe even the PEAK of their season. And when produce is grown in its proper season, under appropriate farming conditions, then the fruit/vegetable is able to obtain more its natural nutrients (source). More nutrients and more flavor! Makes sense, right? So with this new SHIFT in season and the FALL food, more starchy or tuberous vegetables are also grown. Have you ever thought about the reason why we all of a sudden crave these starches? Maybe it’s just me, but starchy goodness on a cold evening warms my bones and makes me feel cozy and nourished. But here’s why. Or rather.. here’s a little explanation. Fall brings darker days, colder nights, and shift in our circadian rhythm. Our bodies are adapting to environmental change and we’re outside less. That being said, we need to make sure we get enough Vitamin D and Serotonin. And how do we do that? By eating good carbs or starches. Healthy starches raise your level of insulin, which can help the brain convert tryptophan into that feel-good neurotransmitter, serotonin. The tricky part is making sure you don’t raise the insulin levels too much, or the whole thing will back fire. Holiday SUGAR COOKIE RUSH anyone? Yes, been there! Which brings me back to this post about potatoes, soup, and Brussel sprouts. Ha, thought I’d lost your attention there for a minute. Okay, hang with me. Like I mentioned above, these vegetables are IN SEASON. The type of potato can vary (early or late season) but you get my point. These vegetables are more starchy and tuberous than say your summer greens and water packed veggies/fruit. These vegetables, when combined, are pretty darn tasty and satisfying, especially with the smokey savory bacon. Needless to say, this type of veggie soup just might be a perfect way for your body to transition into Fall. This Veggie Soup is gluten free and grain free, but still packed with nourishment and flavor! Easy to make in the crock pot or stove! Paleo friendly with simple wholesome ingredients. 1 tbsp dried herbs (chives, onion, etc) OR 2 tbsp fresh chopped herbs such as chive/onion. First make sure all your ingredients are chopped. 3 cups chopped potato was equivalent to about 2 potatoes. Lightly steam/soften your potato pieces in a small bowl in microwave for about 90 seconds. Then add to your crock pot. Add in your broth, veggies, and bacon on top. mix in your seasonings and the oil/mustard. Cook on low for 5-6 hrs or high for 3 hrs. Add herbs half way through cooking or at the end to garnish. Serve and top with aged cheddar and dash of black pepper if desired. See notes for non crock pot times. We used smoked bacon from 5280 Meats. If you are not using Crock pot, follow same prep direction but cook on medium low stove top for about 1 hr or until bacon/potato are thoroughly cooked through. Brussels sprouts can help us reduce inflammation in the body with some of it’s array nutrient benefits. Especially glucosinolate. Glucosinolate is a sulfur containing compound that has a TON of anti-cancer and disease fighting properties. HELLO –> HAPPY HEALTHY IMMUNE SYSTEM! Potatoes – Depending on the kind, are actually high in potassium and vitamin C. But you must eat the skin! Which I have no problem with, yum! Now, combine that potato rich potassium with naturally rich sodium from the uncured bacon, and you got yourself a stellar electrolyte rich recovery potato soup! Haha. Mushrooms – I added these in for extra Vitamin D! Yes, such a great source. 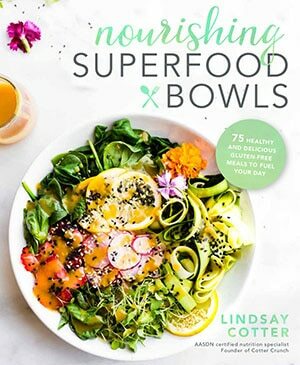 Okay okay, I could go on and on about the bodies need for all these wonderful ingredients, but the fact is, we’re ready to embrace this change, physically and environmentally. 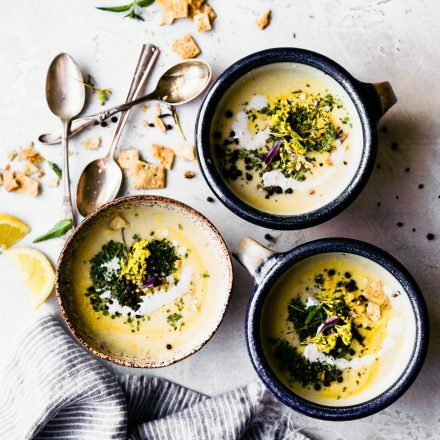 We’re ready for a little hibernation, extra sleep, nourishing seasonal foods (and even some not so nourishing seasonal treats), and a shift in this pace of life. 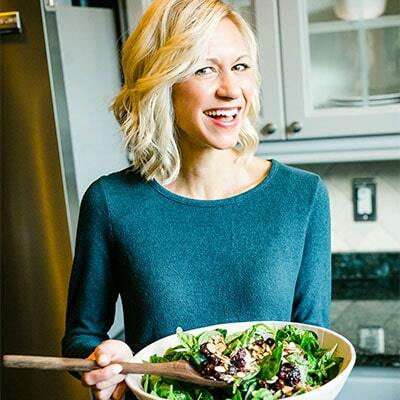 More Seasonal Recipes to love! Oh my how cozy and delicious does this look?! Soup with bacon? I’m all in!! Omg. I just died. This is amazing. 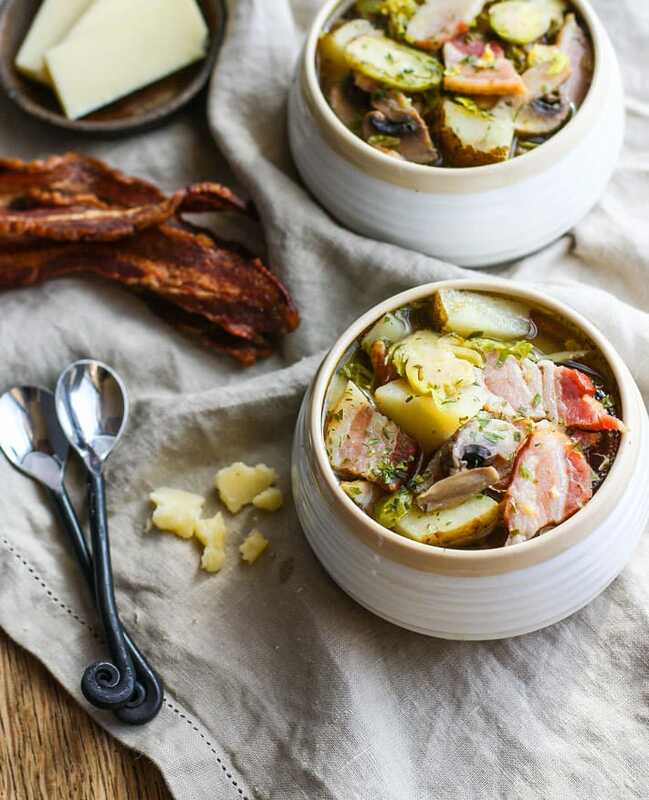 It reminds me of a cross between collard greens set up (because of the bacon) and then a fall veggie soup and omg. Pinning and yumming and making. Oh my this looks so good! I always wondered why we craved heavier foods in the fall. The vitamin D makes sense though! I’m dying over those spoons. So pretty! I love these soups for lunch. I get up at five and after yoga and running, I find a small bowl of soup so extremely satisfying. I will be making this one!!! Seasonal eating is where it is at. We eat at farm-to-tables when we eat out and the menus are packed with seasonal soups, salads, veggies and proteins. Love the exposure. Last evening I had a as a side a light curry sweet potatoes and broccoli dish. It was amazing. You are so right, it’s all in the picking of quality, seasonal fresh foods and tasty and appropriate pairing of spices and flavors. You always seem to get that perfectly down! I want cold weather to stay just so I can make this! You had me at brussels. Let’s be real 😉 <3 Pinning this seasonal goodness. That bacon!! This soup looks like perfection in a bowl. Exactly what I crave when the weather starts getting cooler. Bring on those veggie carbs! This might be weird, but I’m kind of obsessed with this little spoons. They are so cute! …..not weird right? No worries because I also love this soup. Potatoes+bacon=dead in the best way. I’m pretty sure that one of the reasons I love fall so much is because of all the delicious and comforting foods that come with it. Yes to ALL things starchy and warming. 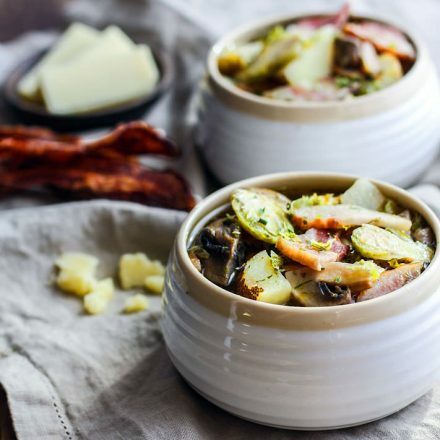 Brussel sprouts and bacon are a match made in heaven — and I love that you thought to put them in a soup! PERFECT. Plus, bacon makes everything better! Lindsay, I will take ANYTHING with brussels sprouts! I adore them, and part of what I love about fall is exactly what you’ve described – all the seasonal produce. Squash, brussels sprouts and apples are my three big faves, and just cooking them with some simple herbs feels so grounding and satisfying. This soup looks fantastic! 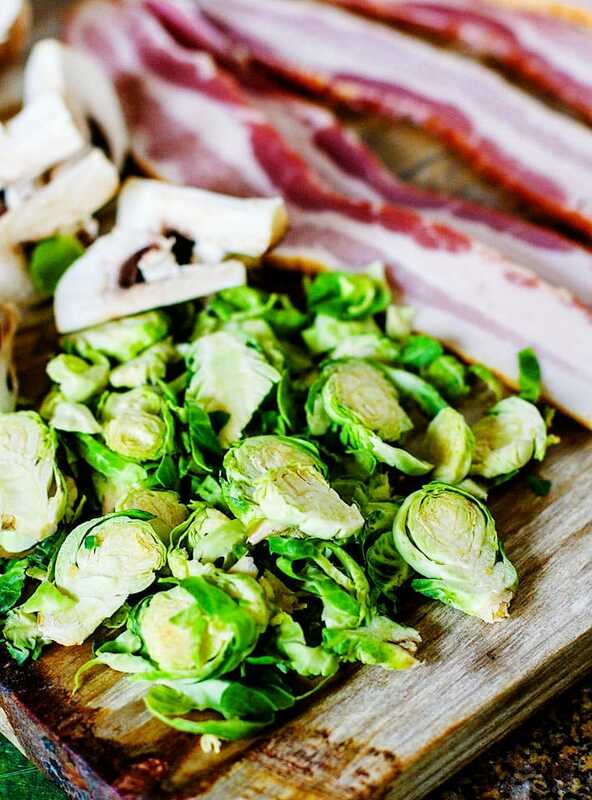 There’s not much I love more than brussels and bacon (besides chocolate cake a red wine ;)). This looks absolutely perfect, and I KNOW Vegas will approve. Because bacon. Is it funny that when I saw this I thought of you?!? I might make it for the hubby and oldest and just make some beer bread to pair with it and eat that and maybe now a glass of red wine since I don’t like beer…. can anyone say carb overload! so i need to make a bacon red wine chocolate cake next, yes? 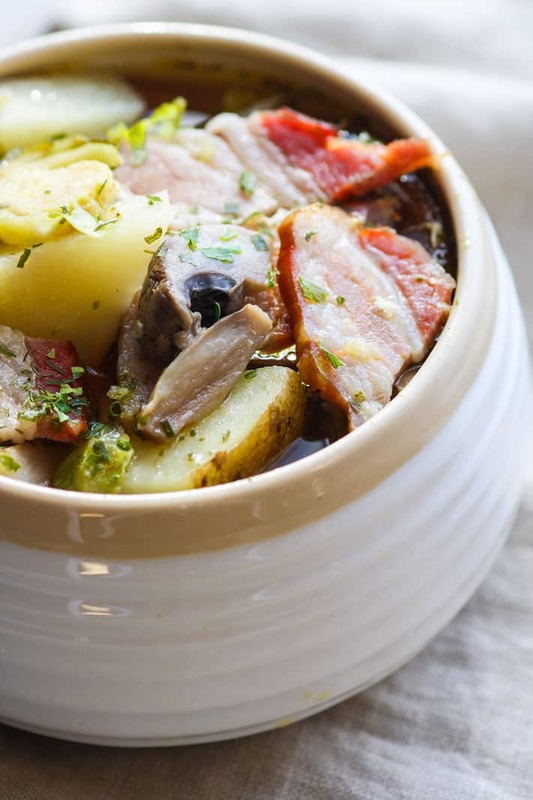 I love the option to make this in the slow cooker – can’t wait to try this!! Please don’t show this to Sammie!! This looks so good I may have to breakdown and make it for my husband and her as they love bacon. I like the flavor but it’s a texture thing and yes I know I am one of the only people on the planet not to like bacon. I will have to show them when they get home and maybe make it with beer bread since I love that and think it would pair perfect and I will just eat way more than I should of that. Not a beer fan but I like beer bread, yep again I know I’m probably “strange”. I almost cried with joy over how perfect this soup is. So making this – maybe it will finally get Ryan to like Brussel sprouts! I actually have all the ingredients for this, except the potatoes, which the supermarket didn’t have, because the food trucks couldn’t come over this weekend, because of the hurricane…LOL…welcome to island life. Can’t wait to make another Cotter slow cooker recipe! This looks amazing, my poor soup comes from cans. 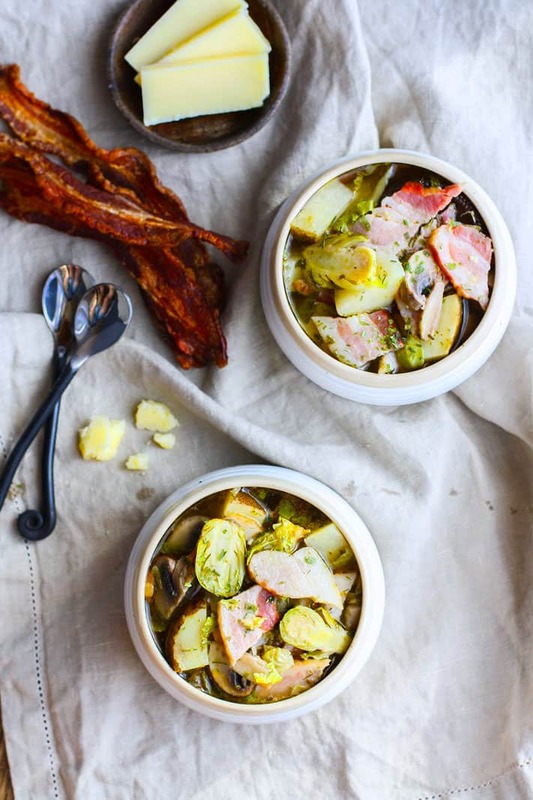 You had me at smoked bacon, but the brussel sprouts and potatoes took it over the top! 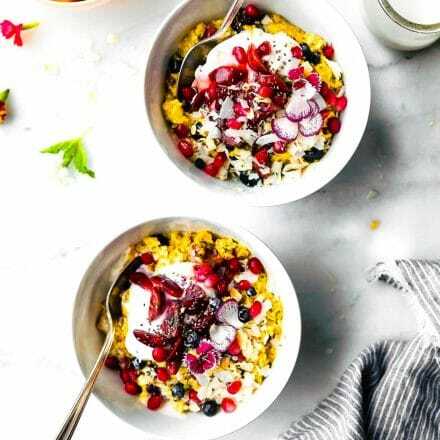 I love the fact that this recipe is not only budget friendly, but also healthy. Those two things are not always seen together. ahh yea! let’s have a bacon party tomorrow. Soup it is! I am so ready for this delicious soup Lindsay!!! Yum to bacon. Yum to brussel sprouts. And yum to potatoes. Perfection! Air is crisping up in New England, ready for this great slow cooker soup! yum indeed! these are all my favs too allie. Soup du jour! Yum…. I need this stat. Weather is getting chilly! 40’s at night! yikessss. Soup season is here. Thanks for the awesome recipe! I’m always on the lookout for new soup recipes. I think drink at least 1-2 bowls per day! I’m not a huge fan of the cold weather, but I do love fall foods (pie, turkey, soup, you name it!). 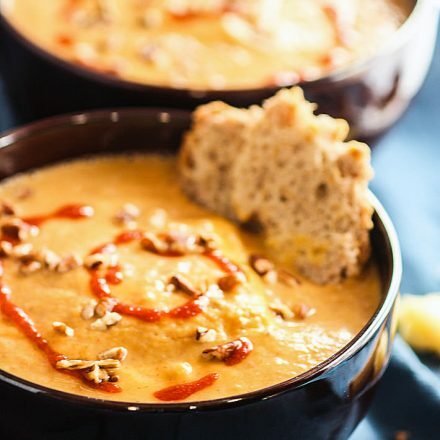 This sounds like the perfect soup for a chilly fall evening!